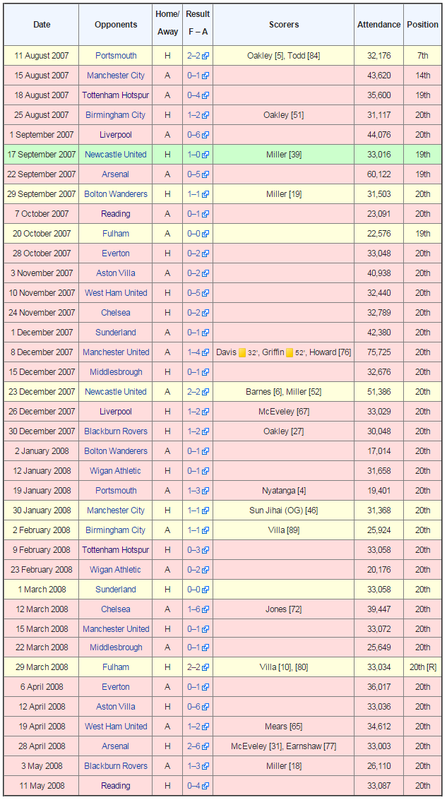 On 29th March 2008, Derby County finally secured the record that they’d been dutifully working towards the entire season. The Rams’ 2-2 draw with Fulham meant that they were relegated, and at earliest stage a club had ever been jettisoned from the Premier League before or since. There’s more on that absolute dud of a season here should you feel the need to re-live it. The Black Cats finished the 2005/06 campaign with just 15 points, a record low until Derby took the record off them two years later. They had been promoted as champions the year before but manager Mick McCarthy proved unable to navigate the top flight with a lacklustre team. 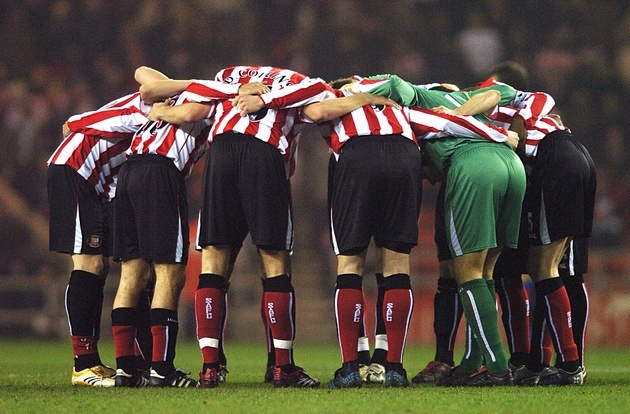 Sunderland lost their first five games and won just once at home in the whole season. In addition, the 17-consecutive-game losing streak they suffered during the campaign remains the longest in the history of English football’s top division. Just to compound the misery on all fronts, they were also dumped out of the FA Cup in the fourth round by Brentford, then of League One. A familiar name crops up again. Sunderland secure two damning places on this hopeless list by dint of, well, being utterly hopelessness throughout the noughties. 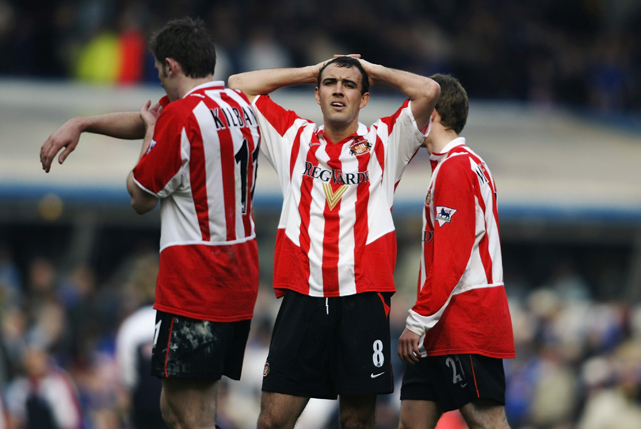 This barren campaign saw them finish on 19 points, a record low until the record was broken three seasons later by… you guessed it, Sunderland. Wolves were left wondering where it all went wrong after finishing the season with just 25 points, some 12 from safety at the final tally. 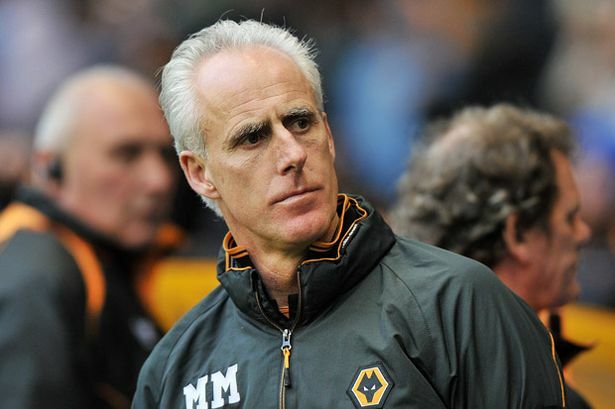 The club sacked manager Mick McCarthy – him again – after going nine games without a win, but opted to move coach Terry Connor into the manager’s seat instead of recruiting a tried and tested replacement. Connor was rated highly as a coach but the manager’s job proved a step too far. He took over on 13th February – which certainly proved to be unlucky for him – and the team did not win a single game for the rest of the campaign. 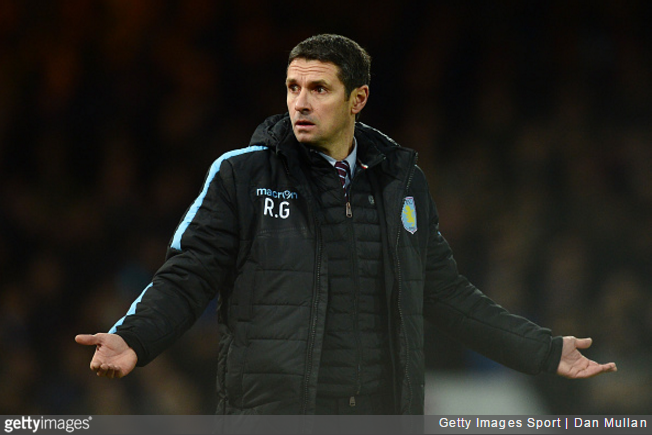 And finally… Aston Villa 2015/16? The season is not over yet, but rarely has a team looked as doomed as Villa do this year. With 16 points amassed and just seven games left to play, at least Remi Garde’s unrescuable side won’t suffer the ignominy of the worst points haul, but it’s the sheer speed and scale of the collapse that has been most shocking to observe. Not many folks had the side down as full-bore relegation contenders, but the ineptitude and utter lack of belief shown by the players wearing the shirt this season surely has this particular set of Villans in contention for a low-ranking place on the list of worst-ever Premier League ensembles.